Studies of Cognitive Development | Applications | NIRSOptix by TechEn, Inc.
Behavioral researchers studying cognitive development have long sought to establish different kinds of cognitive processes that come online across development time. 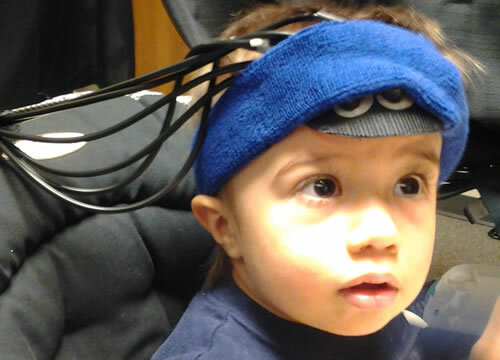 For example, a popular technique for use with infants is "preferential looking,” in which infants are habituated to one stimulus and then presented with another to test whether they can discriminate between the two. The challenge with this approach is that infants sometimes show a preference for what they already know - a familiarity effect - and other times for the new stimulus - a novelty effect. It's difficult to predict when an infant is going to show one or the other, as well as what factors contribute to one or the other bias. This underscores the fact that behavioral measures are often used as a proxy for cognition. The TechEN CW6 is an absolutely fantastic machine that has been central to the innovative program of research in our center. In research on cognitive processing in adults, the desire to move past external measures led to an explosion of imaging work when fMRI became a viable lab technique. Functional magnetic resonance imaging has indeed provided a window into the ways cortical regions coordinate, both in general and over developmental time; however, there is a lower age limit to the use of this technology. MR imaging is quite challenging to do with infants and toddlers. Movement becomes an issue when a young child is put in an MRI scanner - only very young infants allow researchers to swaddle them for motion control, and they inevitably fall asleep - while active tasks can present a challenge in the MRI environment. For these reasons, NIRS is very attractive to researchers working with infants and young children. Using the technology, they can have the child perform an active task and then look at how the behavioral outcomes couple with the hemodynamic and other physiological indicators of the processing that underlies the outcome. Before NIRS, this simply wasn't possible. 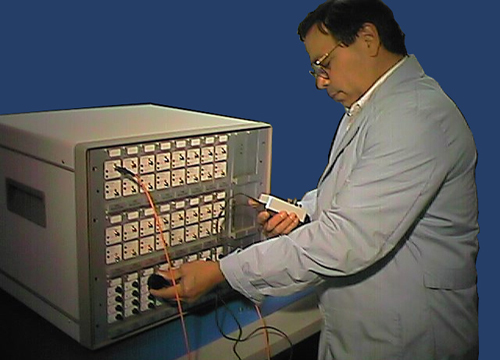 In the past fifteen years, investigators have made great strides using NIRS with infants and young children. 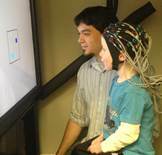 Already, research with the technology encompasses studies of broad localization of perceptual abilities, early lateralization and functional specialization for language and cognitive development. 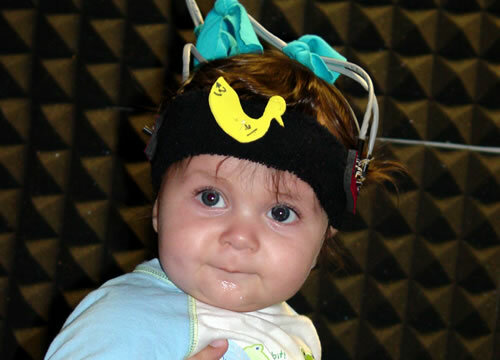 Using TechEn instruments, groups have demonstrated, for example, a transition from global to local processing of speech in pre-verbal infants. John Spencer, a researcher with the University of Iowa’s Delta Center, has been using the TechEn CW6 system since 2009. He and colleagues are currently studying the development of visual working memory and executive function, revealing the functional neural network that underlies these basic cognitive skills between 1 and 4 years. A recent Neuroimage study using the CW6 was the first to examine visual working memory capacity limits in early development using functional neuroimaging. 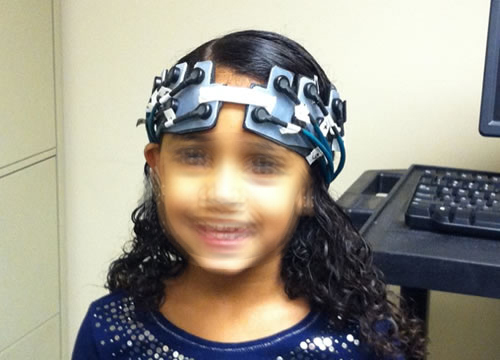 See the Publications page for the full reference, and to learn more about what can be achieved with near-infrared spectroscopy in cognitive development research. I have to say that it is because of your CW6 system that there is now a growing group of female doctoral students who have become completely hooked on cognitive neuroscience. One of the advantages of the TechEn CW6 system is its ease of use. Particularly with studies of cognitive development, where end users are less likely to be trained technologists, the tools used must be as turnkey as possible. By offering simple operation, the CW6 is opening up this area of study to investigators who might not otherwise have access to the hemodynamic measures the technology provides. Moreover, the system is helping to introduce more women - who are traditionally underrepresented in technology-based disciplines - to the study of neuroscience. We are proud to play a role in this, and thus in helping to ensure that the most talented researchers, women or men, find their way into the field. Read more about our CW6 technology here. TechEn worked with Massachusetts General Hospital and Harvard Medical School on the electronic component design and development of a novel, noninvasive optical brain imaging system for the MGH-Martinos Center for Biomedical Imaging. Copyright 2018 TechEn, Inc. All rights reserved.